Philippine Atmospheric Geophysical and Astronomical Services Administration (PAGASA) said, "Tropical Depression AMBO, the first storm in the country for this year was estimated at Northeast of Borongan, Eastern Samar." PAGASA 5:00 a.m., weather bulletin posted, "At 4:00 a.m. today, , Tropical Depression "AMBO" was estimated based on satellite and surface data at 260 km Northeast of Borongan, Eastern Samar (13.4°N, 127.3°E) with maximum sustained winds of 55 kph near the center. 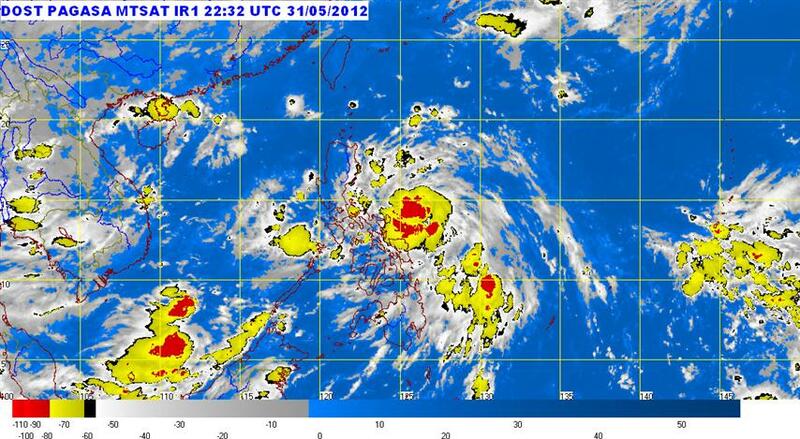 It is forecast to move northwest at 17 kph." Meanwhile, PAGASA advised residents living in low lying and mountainous areas under signal # 1 are alerted against possible flashfloods and landslides. Comments or suggestions about "Tropical Depression Ambo Update" is important to us, you may share it by using the comment box below.